Copy Central Burbank: Roger Black & Waco O'Guin Talk Brickleberry, The Damn Show & Yucko The Clown - December 2016 Interview! Roger Black & Waco O'Guin Talk Brickleberry, The Damn Show & Yucko The Clown - December 2016 Interview! 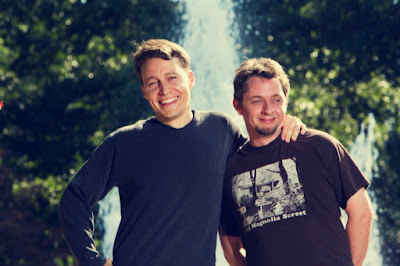 We caught up with the legendary Waco O'Guin and Roger Black for a rare, exclusive interview! Creators of The Damn Show, Brickleberry & Yucko The Clown; Roger & Waco are busy working on new television projects to end out 2016. This hilarious duo let us in on a few secrets about their characters, personal life & shows. It's a must see! What is your favorite show that you've created or worked on? Between our show Stankervision on MTV and Brickleberry on Comedy Central, we would have to say Brickleberry. 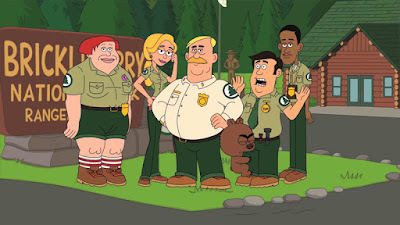 We had a lot more creative freedom on Brickleberry and loved the characters. Roger and I got to do a lot of voices. Which social media has been the biggest outlet for Damn Show? Probably Youtube for The Damn Show. We have had over 60 million views on there! Facebook has been a great social media outlet for Brickleberry. We have over 500,000 likes now. 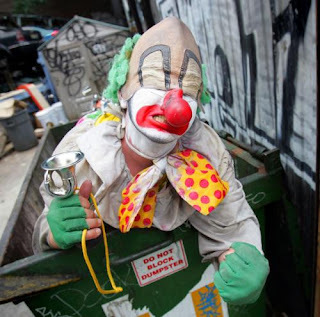 What is it like being Yucko The Clown? Roger: The costume is really smelly. BUT it's pretty cathartic to say anything to someone and people not take it too serious. That's why I decided to dress up as a clown. Waco : Tallyrand in Burbank. It's the best breakfast joint in Los Angeles. Roger: Katsuya in Studio City. Love their Crab Hand rolls! What is something that fans don't know about you that they probably should? Waco : I use baby wipes. Roger: I collect comic books, and cried at the end of the Notebook. What was the best moment of 2016? The Brickleberry comic books came out this year! We were super excited to tell more Brickleberry stories! What are some goals & plans for 2017? Waco and Roger: To get another kickass show on the air! Make sure to check out The Damn Show Youtube Channel, Brickleberry's Facebook page & stay tuned for Roger & Waco's newest endeavors!